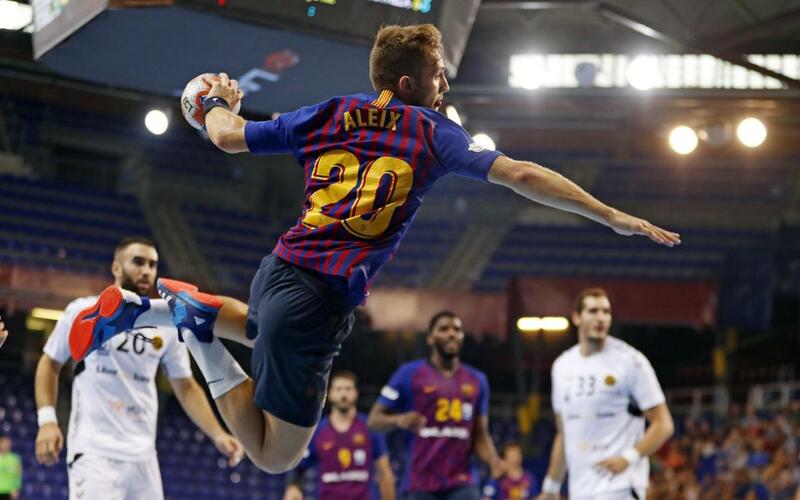 One hundred and twenty days after its last duel before the home fans at the Palau, FC Barcelona Lassa have once again shown their strength in the Asobal League. After a 50-24 victory at Alcobendas in the season opener, Barça defeated Liberbank Cuenca 43-22 on Sunday in the home opener. Aleix Gómez scored nine goals and Kevin Möller made plenty of big saves to lead the blaugranas. Barça Lassa actually went down, 1–0, early on in this one, but by the 5th minute, they were ahead, 3-1. And from that moment on, Barça's strong defense, quick transitions, and devastating counterattack helped them light up the scoreboard. Aleix Font and Syprzak had five goals each in the first half as Barça built a 24-7 lead by the intermission. Meanwhile, the blaugrana defense was a brick wall, making Barça's 38-18 lead by the 50th minute insurmountable. Barça Lassa visit Atlético Valladolid on Wednesday.